In the next few weeks we will be featuring some of our favourite sites. The near four hundred years of Roman occupation of London isn’t always easy to spot. 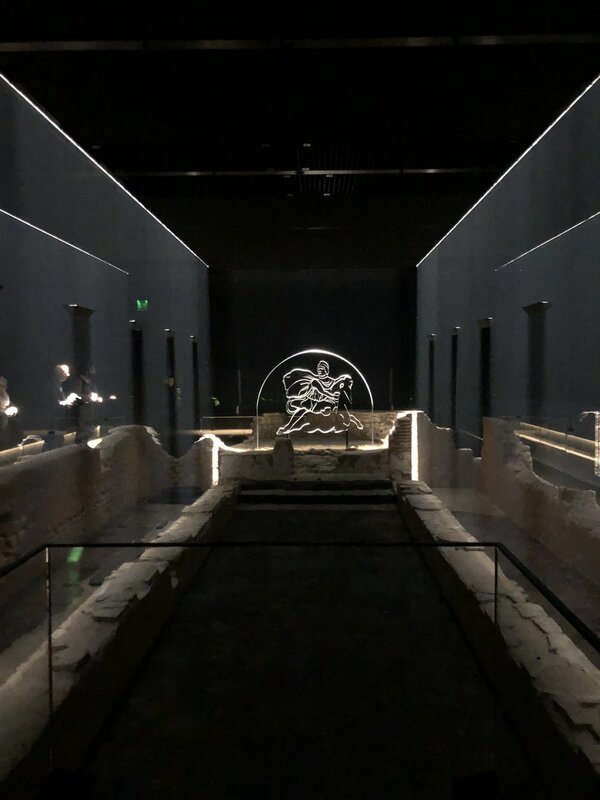 London’s Mithraeum is located in the heart of the City of London but stand at the site between St. Paul’s Cathedral and the Bank of England, and you won’t see any evidence of the Roman temple. Turn back nearly 2000 years in London’s rich history by descending stairs seven meters below London’s current ground level to find where Romans trod the streets of Londinium. The Temple dedicated to the Roman god Mithras was built of clay bricks and stone and resembled the mythic cave where Mithras killed a bull - the tauroctony - and so was windowless and dark, a The sunken rectangular space with one rounded “apse” end, shaped like an aisled church is today, with two aisles and an altar. It was originally built in c. AD 240-250 .